@Sawai Madhopur, Rajasthan. Established in 1980. 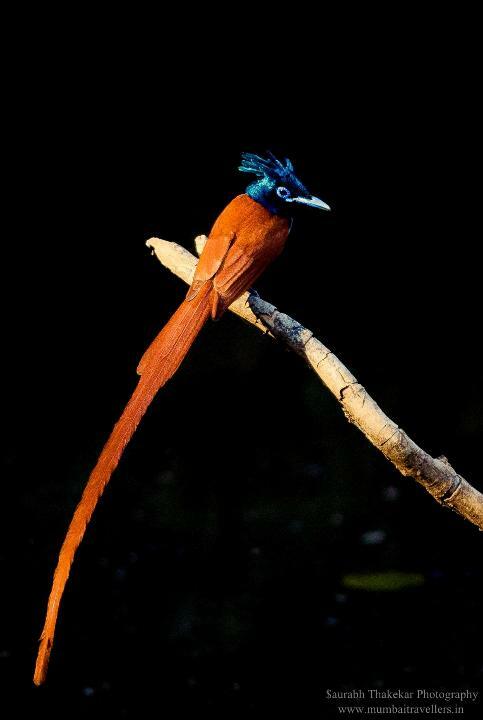 Famous for – Tigers, Leopards, Birding, Fort, lakes, gorges and landscapes, wildlife safari. Formerly Ranthambore National Park was considered as hunting ground for Maharaja of Jaipur, and has a huge Ranthambore fort inside the park. The tales of kings of Chauhan dynasty are very famous. The fort is declared as UNESCO World Heritage site and is open for tourism and one can the remnants of fort and other structures inside the park even today. Ranthambore National park is surrounded by the Vindhyas and Aravalis hill range and Ranthambore Tiger Reserve spread over an area approx 1410.64 sq.km including core and buffer area. The Mansingh Sanctuary and the Kaila Devi Sanctuary is also included in this reserve. Pick up from Sawai Madhopur at 10:00 am and transfer to Ranthambore National Park in private car. Reach Resort and Check in and rest. After Lunch Gear up and Leave for 1st Wildlife Safari. Evening Back to Resort. Dinner. Lights off and day ends. Early Morning Leave For 4th Wildlife Safari. Check Out luggage. Enjoy the delicious Lunch and post Lunch Leave For Sawai Madhopur by Private Vehicle. 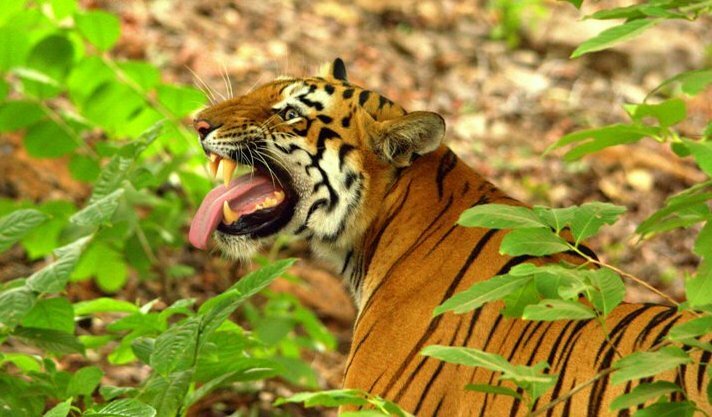 Ranthambore National park has a huge variety of animals, birds and reptiles within it. Tiger being the key stone species, other mammals include Leopards, Striped Hyenas, Sambar deer, Chital, Nilgai, Common or Hanuman langurs, Macaques, Jackals, Jungle cats, Caracals, Sloth bears, Black bucks, Indian Wild Boar, Chinkara, Common Palm Civets, Indian False Vampires, Indian Flying Foxes, Indian Foxes, Indian Gerbilles, Indian Mole Rats, Indian Porcupines, Long eared Hedgehogs, Ratels, Small Indian Mongoose and Common mongoose. A list of 272 species has been documented in the park. The park has number water sources and lakes where one can find amazing number of birds. he most important birds in Ranthambore include’s Graylag Goose, Woodpeckers, Indian Gray Hornbills, Kingfishers, Bee Eaters, Cuckoos, Parakeets, Asian Palm Swift, Owl, Night jars, Pigeon, Dove, Crakes, Snipes,Eagles, Darters, Cormorant, Ibis, Pelicans, Storks, Pittas, Shrikes, Treepies, Crows, Orioles, Cuckoo-Shrikes, Minivets, Drongos, Flycatchers, Ioras, Wood Shrikes, Pipits, Bayas, Sparrows, Finches, Wagtails, Munias, Bulbul, Mynas, Falcons etc. The water bodies of Ranthambore are famous for their Muggars or Marsh Crocodiles. Other reptiles and amphibians found are Tortoise, Banded Kraits, Cobras, Common Kraits, Ganga Soft Shelled Turtles, Indian Pythons, and North Indian Flap Shelled Turtles. 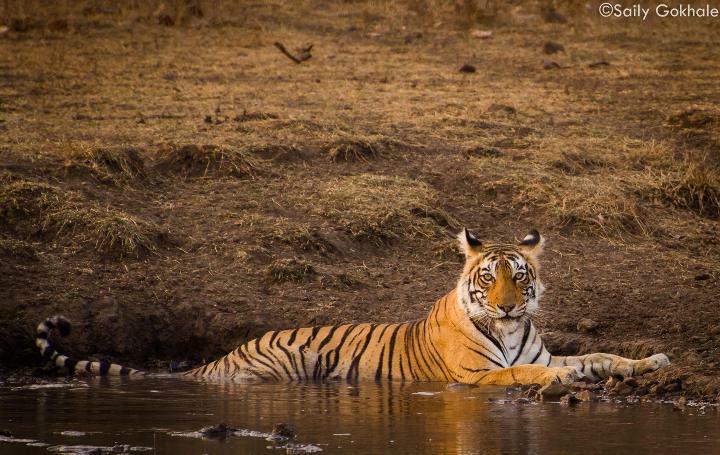 T-16 or ‘Lady of the Lake’ is a World renowned tigress and is on every wildlifer’s wish list. This tigress was named Machali after the mark on her body that resembles a fish. Her territory lies around the famous Rajbauglake and the fort area. She’s one of the only tigers ever seen to kill crocodiles. Today at 19 years of age she still rules the Ranthambore forests and haseven received a TOFT Lifetime Achievement Award for her contribution to conservation and the wider Rajasthan economy. T-19 or Krishna is one of the Machalis daughters. First seen in 2006 she is 10 years old. She has double parallel ‘eyebrows’ over her right eye and two – pronged – fork mark on her left cheek. 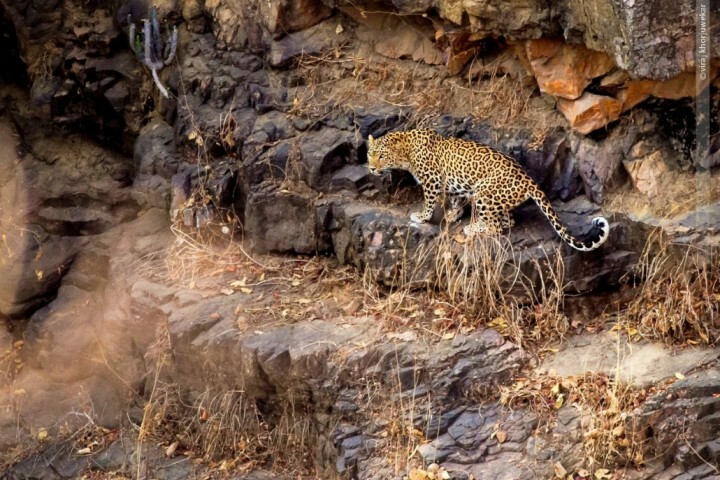 Given birth to litter of cubs in 2014 untill recently she is seen with her sub-adult cubs thriving in the jungles of Ranthambore. Sitara or Star male has a Five-point star over left eye and a bird-shaped marking over the right. First seen in 2008, he is about 8-9 years old. He is now one of the few dominant males of the National Park. His present territory includes Nalghati, Jhalara, almost the entire Mandoop plateau, Lakkarda and the three major lakes, where he’s often seen by visitors. T-39 or MALA is also known as Sultanpur female. She is friendly, beautiful and often seen because of her extrovert nature. First seen in 2009 she is about 7 years old. She has bead-like markings on her side flanks. Open gypsy Jungle Safari is major attraction and one of the most popular options to spot animal movement and admire beautiful landscape in Ranthambore Tiger Reserve. There 10 zones from where one can enter the park. Zone 10 : Kushalipura, Bodal, Halonda, Banskhori, Aantri, exit from Devpura. The safari timing change as per seasons and sunrise and sunset. 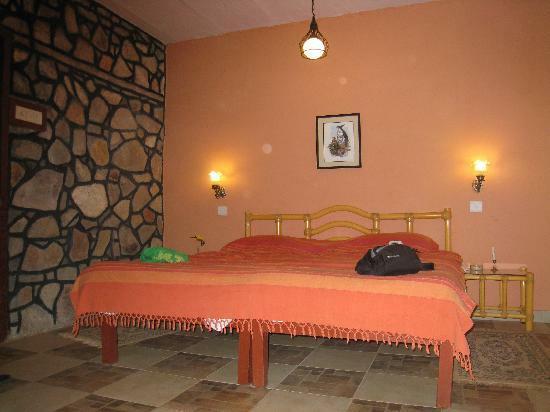 Different kinds of accommodation are available in different areas of Ranthambore and its zones. Tents, cottages, rooms are made available by various resorts for comfortable stay. Forest rest houses are also available .